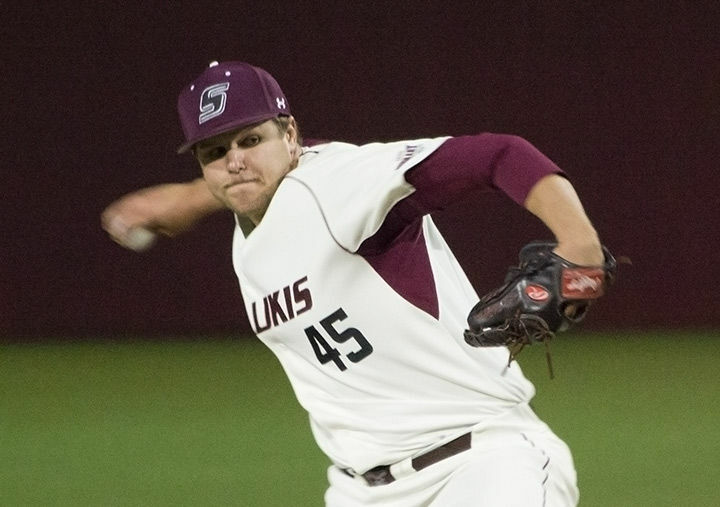 Then-junior right-handed pitcher Austin McPheron throws a pitch during SIU's 7-4 loss to Memphis on March 24 at Itchy Jones Stadium. McPheron pitched 3.2 innings and had 5 strikeouts. 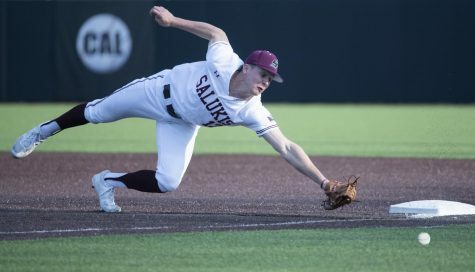 The Saluki baseball team came into Sunday’s series finale game against the University of Louisiana Monroe hoping to win their second game in a row, and second series matchup of the season, but instead lost 6-2. Senior pitcher Austin McPheron was tapped for the start Sunday, in place of recovering senior starting pitcher Joey Marciano. 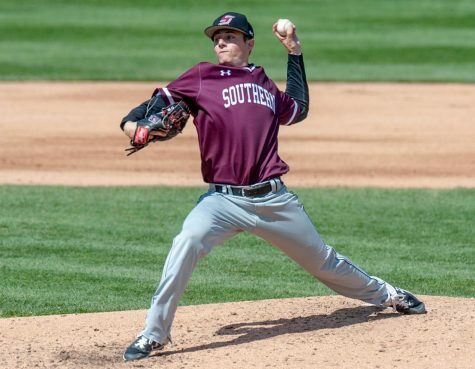 The Salukis also came into the game with a fully rested bullpen, due to junior starting pitcher Michael Baird’s 7-inning long outing Saturday. McPheron managed 3 ⅔ strong innings off the mound to begin the game, allowing five hits and only one run to ULM. 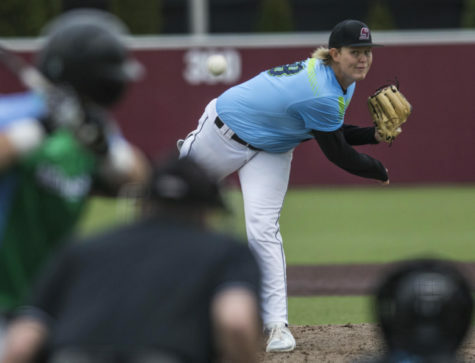 SIU head coach Ken Henderson went on to use five more pitchers from the bullpen over the final 4 ⅓ innings to complete the game, surrendering five more runs (two earned) to ULM. 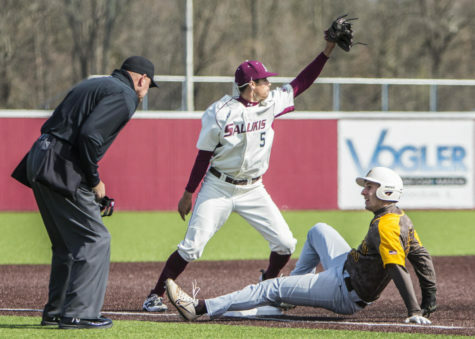 The Salukis couldn’t seem to keep pace with ULM’s scoring, despite collecting a season-high twelve hits on the day. Senior shortstop Will Farmer, senior right fielder Jake Hand, and senior center fielder Ryan Smith accounted for six of the twelve hits — collecting two hits each. 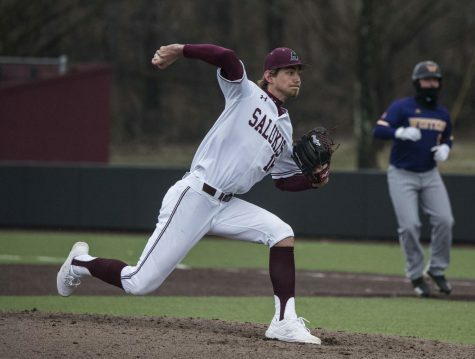 Yet the Salukis could not manufacture hits when it mattered the most, stranding eleven runners on base through nine innings. 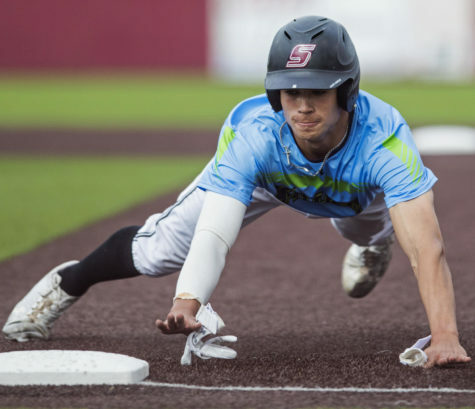 SIU had the bases loaded twice in today’s game with no one out, once in the top of the second inning and again in the top of the fourth inning. In both innings, the Salukis were unable to drive in any of the baserunners. Both Saluki runs were scored in the top of the sixth inning. 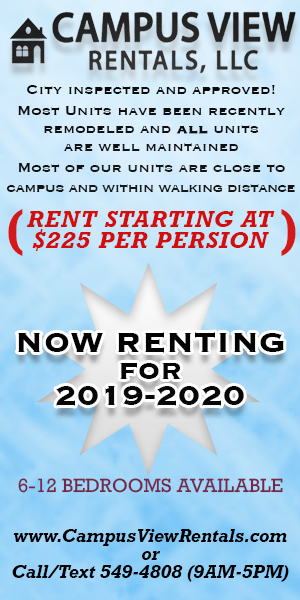 The first run was tallied when junior DH Hunter Anderson was able to score from second base on a fielding error of senior third baseman Ryan Sabo’s ground ball to shortstop. 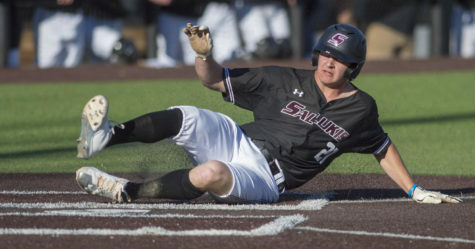 Smith would later drive in junior catcher Nick Hutchins with a single to right field for the Salukis’ second run of the inning, and the final of the game. 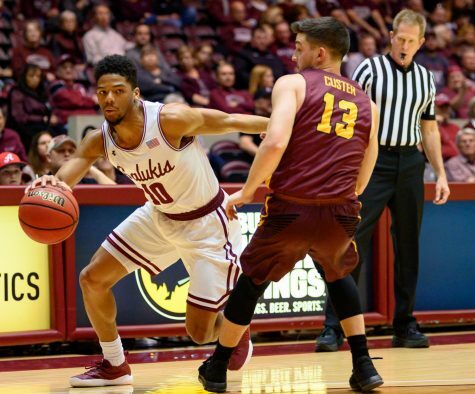 The Salukis (4-3) look to turn things around when they make their final road stop at Belmont on Tuesday, Feb. 28th for a 4 p.m. afternoon game. Then they return home to Itchy Jones Stadium for their three-game home-opener series against Western Illinois, scheduled for March 3 through 5. 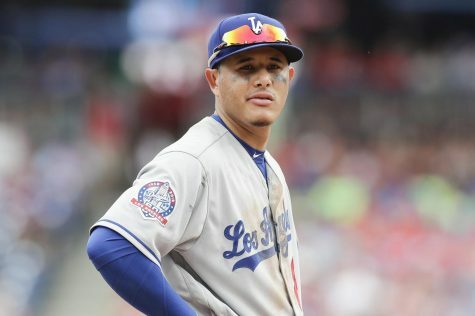 Sports writer Denton Giovenco can be reached at dgiovenco@dailyegyptian.com.